Hanging by a thread. 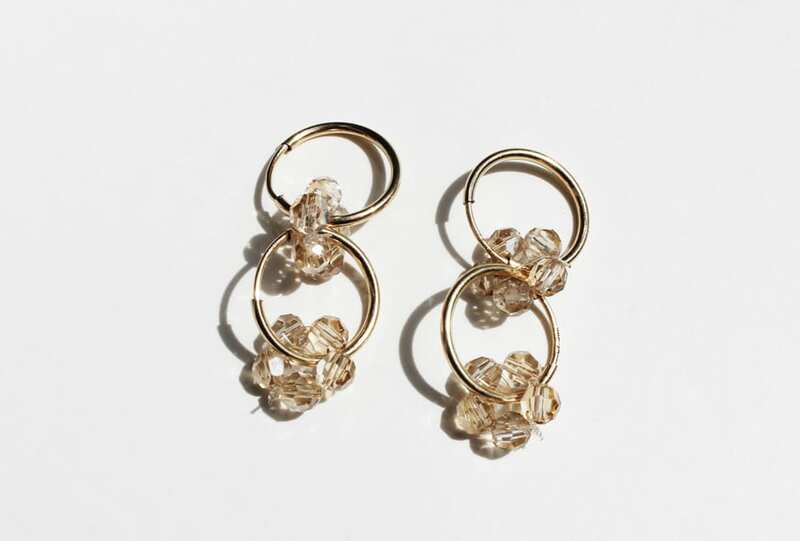 Swarovski crystal beads join 9ct gold hoops. For the dreamers, they’d be right at home on the ears of The Virgin Suicides’ Lux Lisbon.